The Walking Dead's Scott M. Gimple has done a fantastic job with the fourth season. The show continues to raise the stakes and weave in and out of the comic's continuity in interesting ways. I was especially interested in what was happening to the kids living in the prison and started writing an articled called How to raise a child in the zombie apocalypse. After this week's episode, I completely abandoned that article and dove into the psychology behind what's become the most controversial event in the show's history. Spoilers ahead for The Walking Dead Season 4 Episode 14 – "The Grove". I didn't want to see The Lego Movie. It looked like it was purely made to push Lego products and promote Warner Brothers properties. But I was intrigued by the film’s 95% Rotten Tomatoes rating. What finally convinced me to see it was hearing from my child and teenage patients last week – many had plans to see it opening weekend and I knew if I didn't see it soon someone would give away the ending at our next appointment (spoilers are an occupational hazard for clinical psychologists). I’m so glad I saw the film because it was a ton of fun! Stop-motion inspired CGI brings the iconic Lego toy universe to life in a beautiful way. The acting is spot on, especially Will Arnett's hilarious take on Batman. There's also an amazing cameo by one of the most famous spaceships in the galaxy but I won't ruin the surprise here. Things move at a frenetic pace and there isn't much room for conversations between the movie’s different franchises. I wanted to see Gandalf, Dumbledore, the Justice League, and the Teenage Mutant Ninja Turtles hangout more, but it was fun just to see them together on the big screen. My bigger concern is the limited role of females in the story. There is a female lead, but like Louis Lane in Man of Steel she’s mostly there to advance the story of the male characters. This is sort of a big deal since Lego toys have a big gender gap (be sure to read this 7-year-old girl’s take on the issue). I wish The Lego Movie gave us more interactions across franchises and stronger female characters. 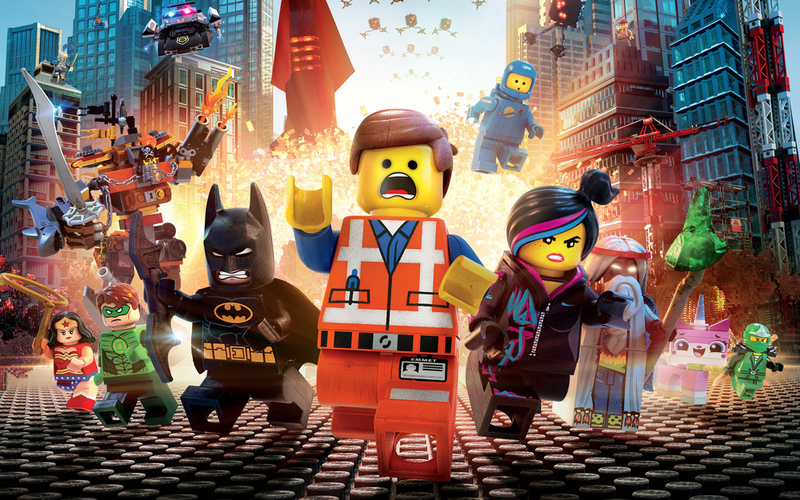 Even with these limitations, The Lego Movie is still more than just another children’s film. What makes it awesome is the story's theme of imagination. The main character is caught in a struggle between following the rules of Lego manuals or embracing his creative instinct. At first this seems like the film's way of honoring the inventiveness of Lego fans. But things become much more personal as the film turns into a story about connecting with children. This is where The Lego Movie really resonated with me. I work with a lot of parents who come into my office concerned about their child's behavior. Maybe their kid is throwing a lot of tantrums, pushing peers at school, or just can't calm down. Labels like "aggressive", "oppositional", and "disruptive" get tossed around, kids feel pretty crummy about themselves, and parents don’t know what to do. I always start treatment where The Lego Movie ends by teaching parents how to improve their relationship with their children. One of the most effective treatments for young children with these types of behavior problems is called Parent-Child Interaction Therapy (PCIT). 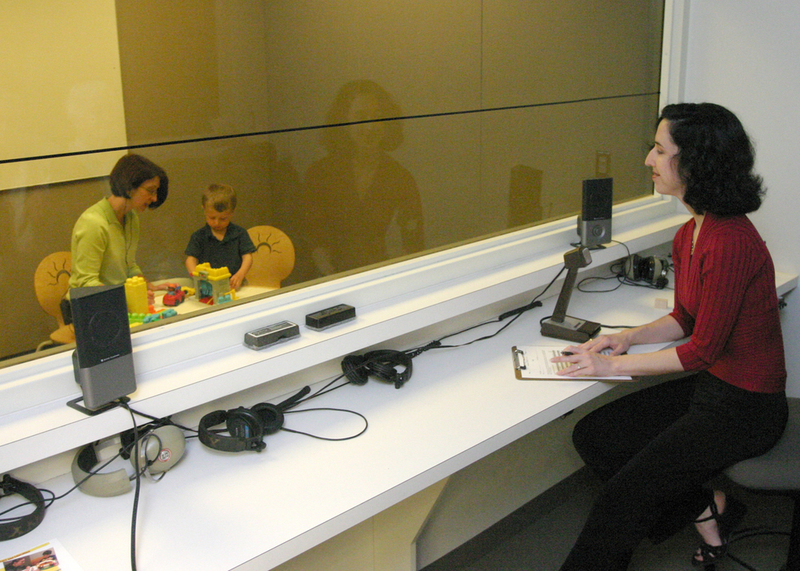 Parents place a small microphone and speaker in their ear and are coached in real time by therapists behind one-way mirrors. PCIT puts kids in the lead of play and teaches parents how to encourage their child's imagination (kind of like The Lego Movie does). PCIT skills like “labeled praise” encourage positive behavior, “reflections” increase language development, and “descriptions” show that you’re interested in what your child is doing. Yes, we talk about discipline in PCIT too, but study after study has shown that discipline alone doesn't lead to long-term change. The relationship between a parent and child has to be improved first and the best way to do that is by connecting with your child using imaginative play. Parent Child Interaction Therapy in action. Photo by Robert Barclay via Central Michigan University. 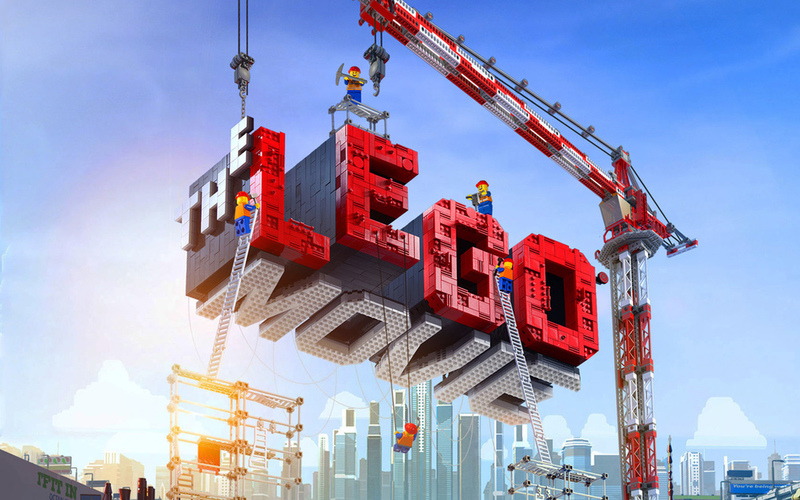 Will the film sell a ton of Lego kits? Absolutely! Does it increase our anticipation for 2016’s Superman VS. Batman film? You betcha! But The Lego Movie achieves more than its commercial self-interests. Writer-directors Phil Lord and Christopher Miller have created a story that is entertaining and has the possibility of helping parents become better parents. There's much more I could say about the psychology of The Lego Movie and its commentary on conformity, totalitarian states, government surveillance, and commercialism. But this is the message I want to leave you with – everything is awesome when you encourage kids to use their imagination. For more perspectives on The Lego Movie, check out The New York Times' positive review and The New York Post's negative (and spoilery) review.